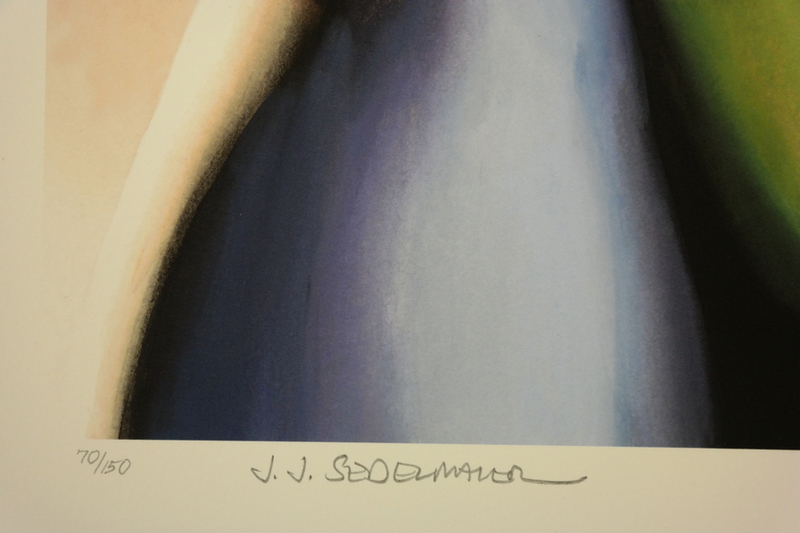 This is an original limited edition print from the JJ Sedelmaier production, the Ambigously Gay Duo. 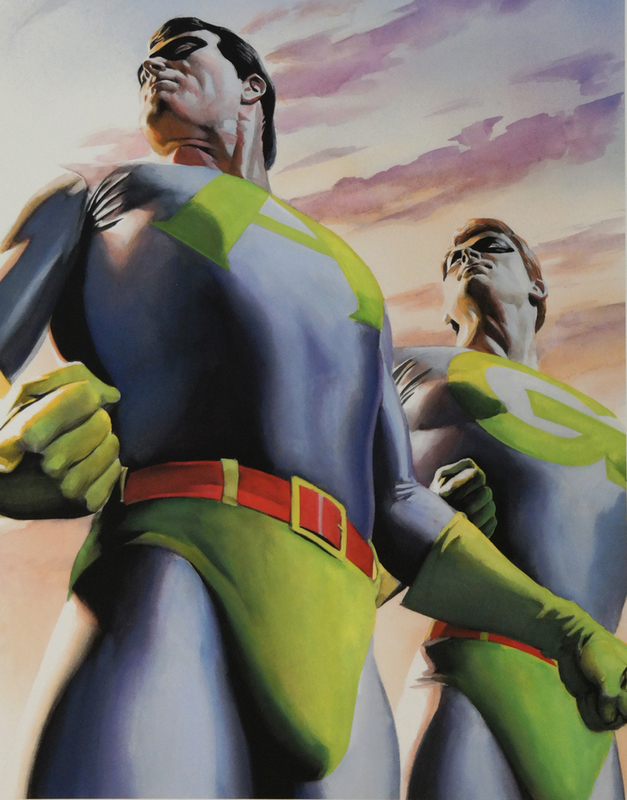 The original imagery of this piece was created by legendary comic artist, Alex Ross, and appeared on the cover of a JJ Sedelmaire fanzine. The wonderful image features Ace and Gary in a traditional epic super hero pose, but in a lively and comical fashion that is only possible for this dynamic duo! This print is an archival giclee print on paper that was created in a strictly limited edition of only 150 pieces in the regular edition. 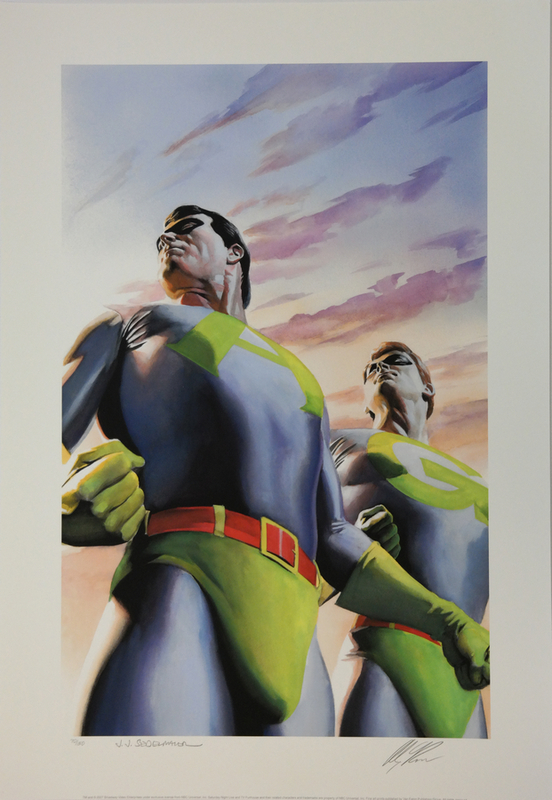 Each piece is hand-signed in pencil by JJ Sedelmaier and Alex Ross and is hand numbered (the image of the numbering shown is a sample and the specific edition number you receive may differ). 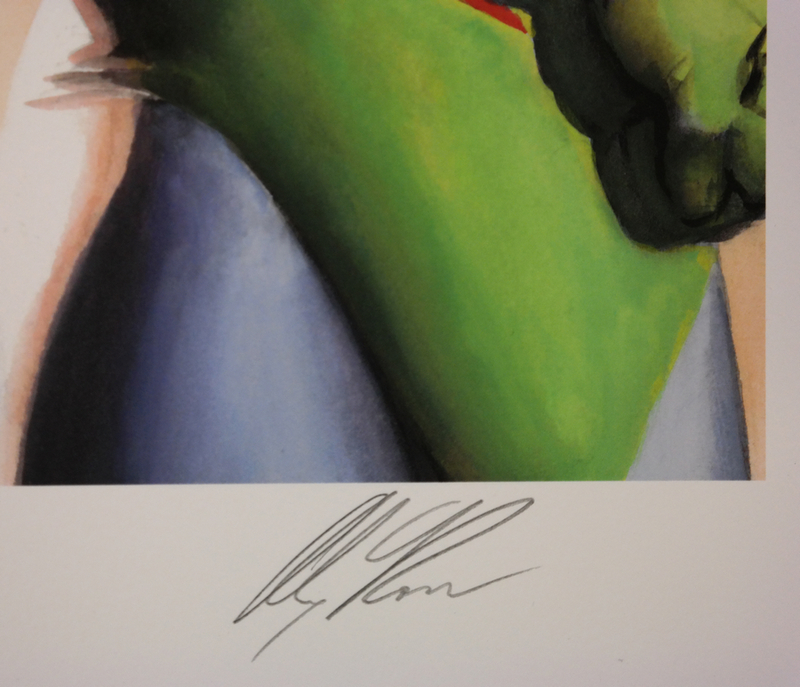 The image measures about 22" x 14" and the overall paper measures about 26" x 18".